Windows authentication means creating a database connection to Microsoft SQL Server while leaving User and Password blank (see figure below). 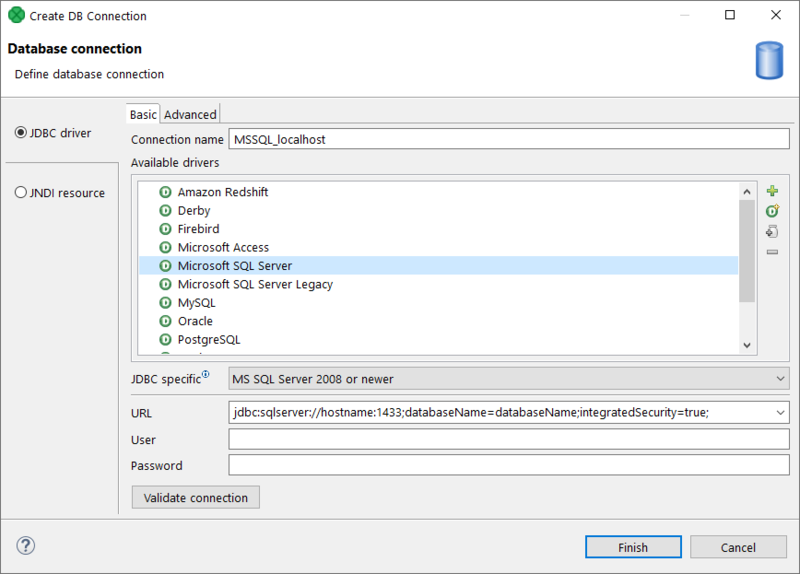 Accessing the MS SQL database, the JTDS driver uses your Windows account to log in. The JTDS driver depends on native libraries you have to install. To enable this all, follow the steps described in this section. Figure 33.6. Connecting to MS SQL with Windows authentication. 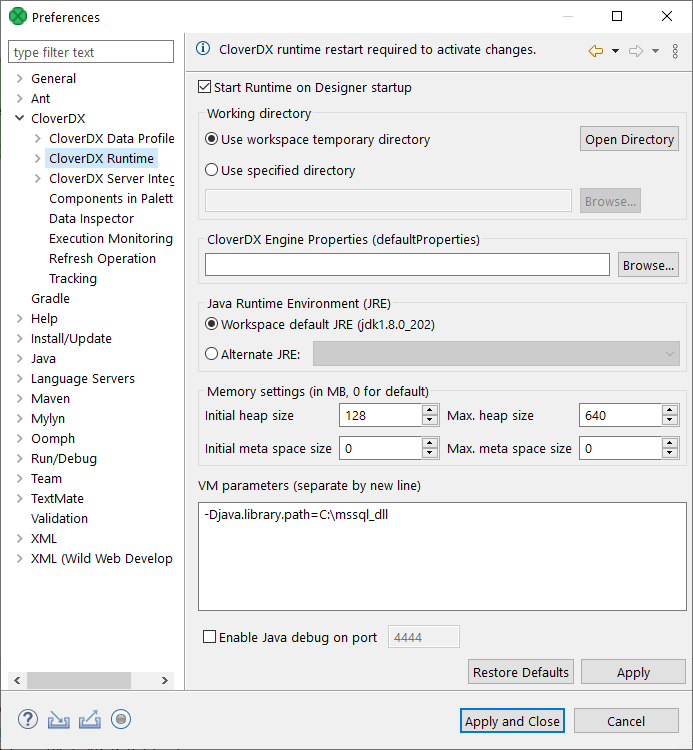 CloverDX comes with a JDBC driver from JDTS. However, it does not provide native libraries which are required for JDTS to work with Windows authentication on Microsoft SQL Server. Thus, it is necessary to download the native dll (ntlmauth.dll) and perform some additional settings. Extract the contents and go to folder x64\SSO, or x86\SSO. Copy the ntlmauth.dll file (for 64b or 32b version of CloverDX, respectively) to a folder, e.g. C:\jtds_dll. Now there are two ways how to make the dll work. The first one involves changing Windows PATH variables. If you do not want to do that, go for the second option. Add the absolute path to the dll file (C:\jtds_dll) to the Windows PATH variable. Alternatively, you can put the dll file to some folder which is already included in PATH, e.g C:\WINDOWS\system32. The runtime configuration is valid for all graph within the same workspace. Figure 33.7. Adding path to the native dll to VM parameters.